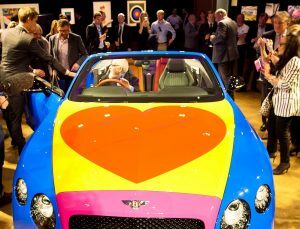 A unique partnership between Cheshire based hospice charity Care2Save and the world’s most renowned living pop artist Sir Peter Blake has been documented by film-makers Inspired Film and Video. 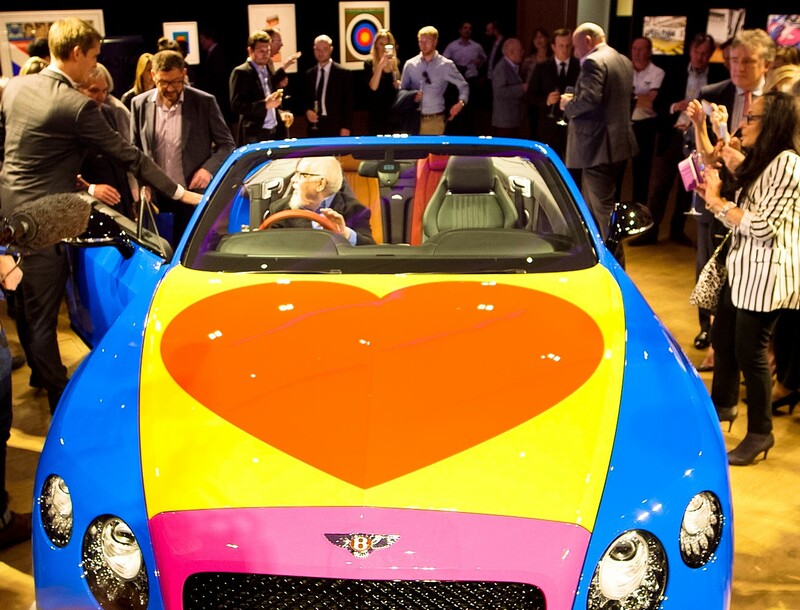 The artist, who is perhaps most famous for his work to create the iconic Sergeant Pepper album cover, has designed a unique Bentley Continental GT car to raise funds for the St. Luke’s Hospice, Winsford and its worldwide Care2Save foundation. Stoke-on-Trent based Inspired film and Video were commissioned by Care2Save to chronicle the process through from inception to sale. “It has been fascinating and inspiring to work with Sir Peter Blake,” said Inspired film and Video Director Michael McDonald. “We have filmed with him in his London studio, at the Bentley factory, Crewe, Bonhams and at the Goodwood Festival of Speed where the first Sir Peter Blake Bentley was ultimately sold. Based at Federation House, Stoke, award winning Inspired Film and Video produce a wide range of documentary and promotional films. They have worked with major brands, including Wedgwood and Fat Face, Government bodies, such as UKTI, and are renowned for their work in the international sports world, working with Team GB, Stoke City, Leicester City and the West Bromwich Albion Foundation and producing Premier League football programmes for Danish TV. Significant investment in new staff and equipment has seen Inspired grow in 2016. To find out more about Inspired Film and Video’s work, please go online to http://www.inspiredfilmandvideo.co.uk/.